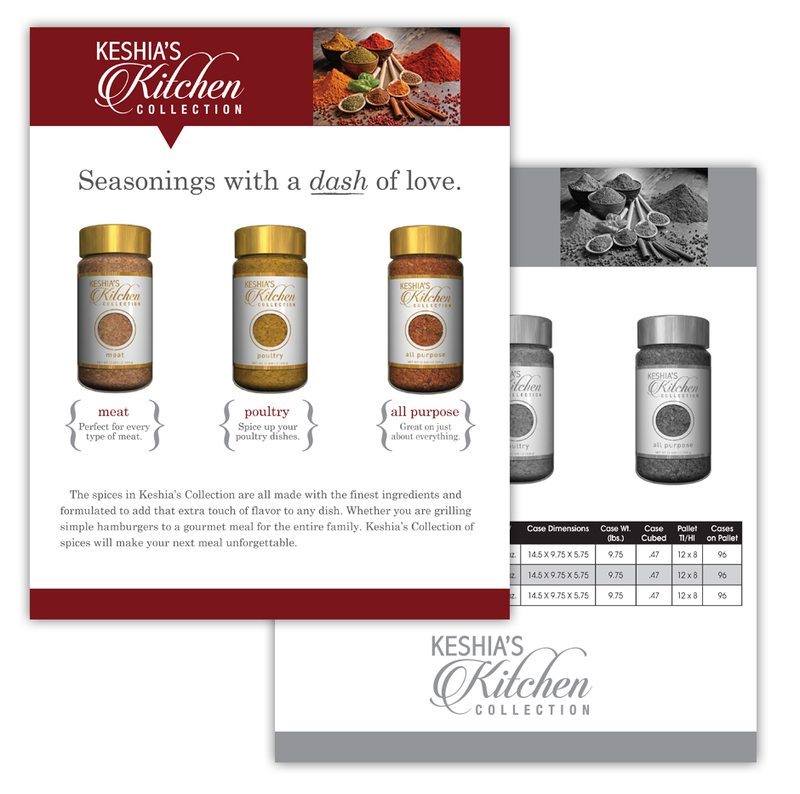 Keshia came to Meshek Design to create her labels for a new seasoning line. She wanted to begin showing her product to buyers. We used 3D modeling to create her seasoning line with her new labels in a sales presentation so she could begin showing buyers while waiting for her final product.